Do you remember that guy in high school who was as likable as a case of crotch lice? He was the introvert with an air of superiority and the patience of ant on a hot frying pan. He had a really weird attachment to his sister and seemed to have some kind of bad home life that no one could really figure out. He wasn’t really a bad guy but you really couldn’t relate to him. Remember him? Well, that guy in the Marvel Universe is Pietro Maximoff – also known as Quicksilver. He’s one of Marvel’s first mutant speedsters. He’s just like Speedy Gonzalez except he’s not a mouse, he’s not Mexican, and he doesn’t scream, “Ándale! Ándale! Arriba! Arriba! Epa! Epa! Yeehaw!! !” And he’s less fun to be around than your obnoxious drunken uncle during football season. Pietro has a really screwed up past and family life that almost explains his really weird creepy behavior. Aside from that, he’s hot-headed, impatient, abrasive, conceited, and sometimes, quite misguided. At one point, after being manipulated by the Inhuman, Maximus the Mad, he became psychotic and decided to take on the entire Avengers team. He allied himself with the super team, The Zodiac, in an effort to have them all arrested by the US government. He has no real friends outside of his sister… and sometimes The Vision and Hawkeye. Oh, and he also attempted to have Spider-man brought to the police just to make himself look more heroic. Yup, physics says it's true. You still can't run through an arm. Well, you can, but it can be messy. However much his personality is like a wet rag, we cannot ignore his powers. And, OH MY GOD, is he fast! 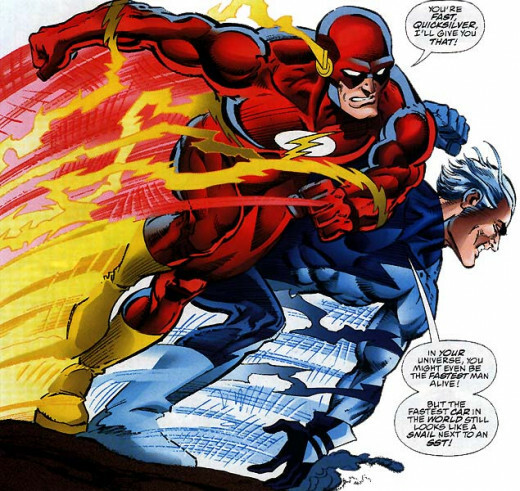 While it can easily be said that his speed is not like that of his DC counterpart (The Flash), what Quicksilver has is a more realistic speedometer. Reports about his speed vary depending upon the source. I have read that his running speed is anywhere between 175 mph to Mach 10. Given that the Canadian mutants Northstar and Aurora have been timed at Mach 10 because their speed is combined with the power of flight, I put Quicksilver as slightly slower as he cannot fly. Originally, it was calculated that he could run at the speed of sound, however, after an encounter with the High Evolutionary he’s been able to reach supersonic speeds. In the DCU, Flash is faster. It's nice to have something like the "speed force" giving you a power up. Pietro’s body is designed really to do one thing – run insanely fast. His mind, reaction time, and reflexes are attuned to his speed. His tendons and joints have the tensile strength of spring steel and are constantly (and naturally) lubricated. His body does not produce the normal fatigue poisons that humans make and it processes caloric intake every efficiently. Normal respiration comes out as he exhales. Even his eyes have been adapted for wind resistance to the great speeds he reaches. He has demonstrated that he can easily dodge machine gun fire and has plucked arrows from the air at a standing start. The momentum that Quicksilver generates has given him the ability to run on top of water and up the face of tall buildings. 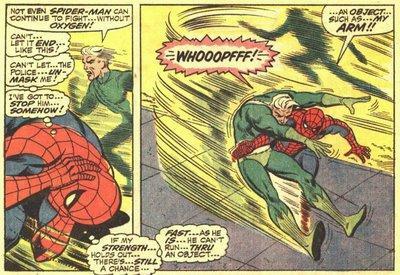 Now, to be fair, one of the reasons why Pietro’s personality is the way it is, is because, to him, everyone is moving in slow motion. In his own words he has described how it is for him to exist. "Have you ever had a day where you are at the ATM and you are in a hurry because you're running late but the person in front of you doesn't know how to use the ATM and they're taking forever? Now imagine what it must be like to spend every day surrounded by people who don't know how to use the ATM." And, unfortunately, we have all been both the ATM guy and the guy behind him. Suddenly, we realize we can relate to why Pietro is the way he is most of the time. 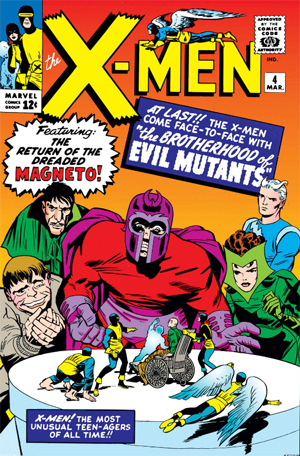 When we first meet him, he’s with Magneto in his first incarnation of his Brotherhood of Evil Mutants. He is constantly by the side of his twin sister Wanda (aka – The Scarlet Witch) and is creepily protective of her in an almost Hansel and Gretel, lost in the woods, almost eaten by a witch, European sibling bond. Any time any of his teammates comes close to his sister, he plays the “Don’t touch my sister” card. Considering that his team mates were the Toad and Mastermind – two of Marvels more slimier characters – this is actually a good thing. What both he and his sister didn’t know is that the man who’s running the team of mutant terrorists is actually their dad. However, up to this point, they’ve been under the belief that they were raised by a gypsy, Django Maximoff (I’m not sure if the “D” is silent). When the twins discover how batshit crazy Magneto is, they run away and quickly reform their ways under Iron Man’s new Avengers team. Who is your favorite speedster? What you should also know about the twins is that at one point, there was a theory that Wanda and Pietro’s parents were Robert Frank (the original Golden-Age Whizzer (another speedster)) and his wife, Madeline Joyce Frank (Miss America, a woman who could fly). But this was all discounted after Magneto came forward and told both Pietro and Wanda that he was their father and a woman named Magda was their mother – who died in childbirth. 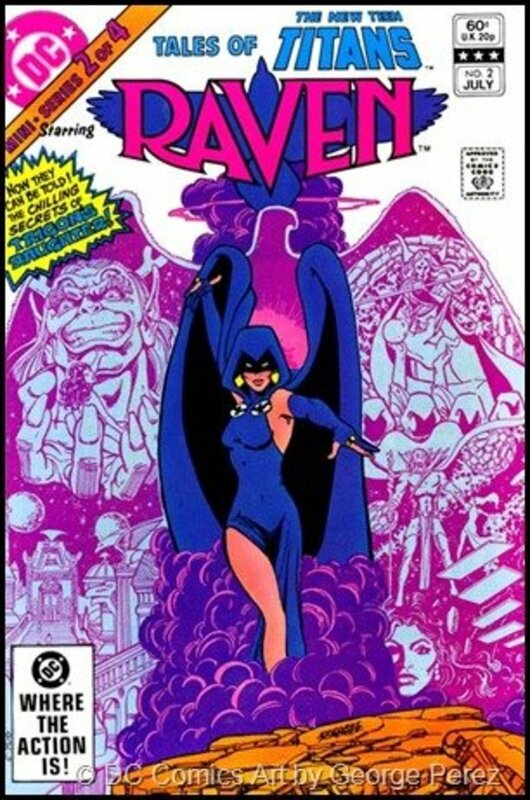 Pietro met and married his only wife, Crystal, after he was nearly killed by a mutant hunting Sentinel. Crystal nursed Quicksilver to health and through that she falls in love with him (and out of love with Johnny Storm). 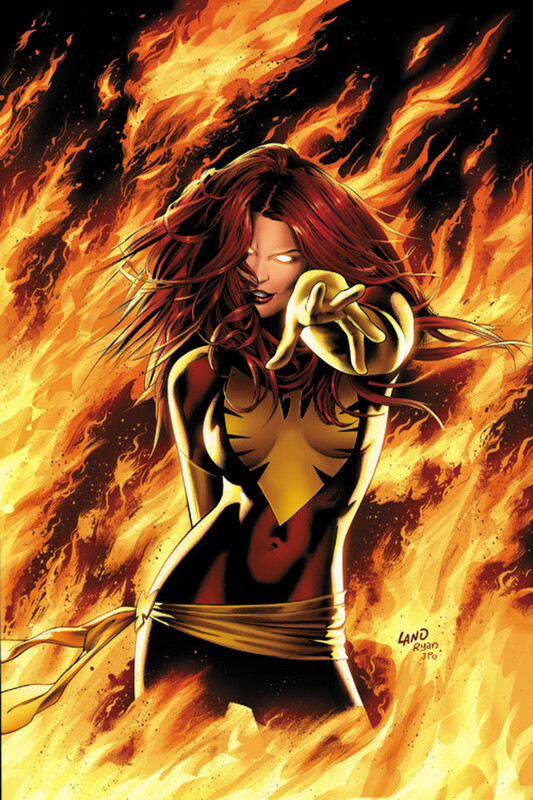 The marriage does not last long – partly because Pietro is mind dominated by Maximus the Mad and partly because Crystal and her habitual way of being unfaithful. 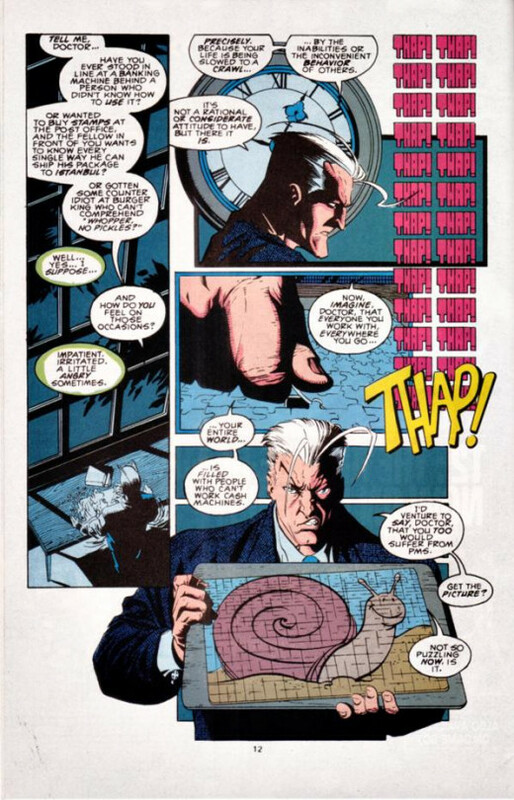 This drives Quicksilver crazy and he literally runs amok, fighting the Avengers and the West Coast Avengers as well as anyone else who manages to piss him off. Since then Pietro has tried to keep to form. He’s had power increases and has been depowered at one point. He’s been restored as a speedster and has really gone back to his normal “sister obsessed” brother mode. At one point, he meets his nephew, Speed (the reincarnated son of the Scarlet Witch and Vision (Don’t ask, it’s really complicated)), and acknowledges his legacy to Magneto. Other than that, he’s tasked himself with teaching new heroes how “hero-ing” is done at the Avengers Academy. While I won’t completely apologize for giving you the impression that Pietro is some kind of creepy D-bag with weird sister issues, I will tell you that I can understand him better after a commute through heavy traffic. Pietro is certainly hotheaded and does have a bit of a superiority complex. But that’s to be expected. He’s the mutant that wrote the book on speed. He’s been in the game since pretty much the beginning of Marvel’s Modern Age of Comics. He’s the product of Stan Lee and Jack Kirby – which makes him prime hero material. How The Avengers: Age of Ultron will treat this character is unknown. So far, it looks like he’s been given the role of “Henchman #1” to Ultron along with his sister. If you’ve seen the latest Godzilla film, then you’ve seen both Pietro and Wanda – hopefully they do a better job this time. So far the best representation of Pietro has been in X-Men: Days of Future Past. 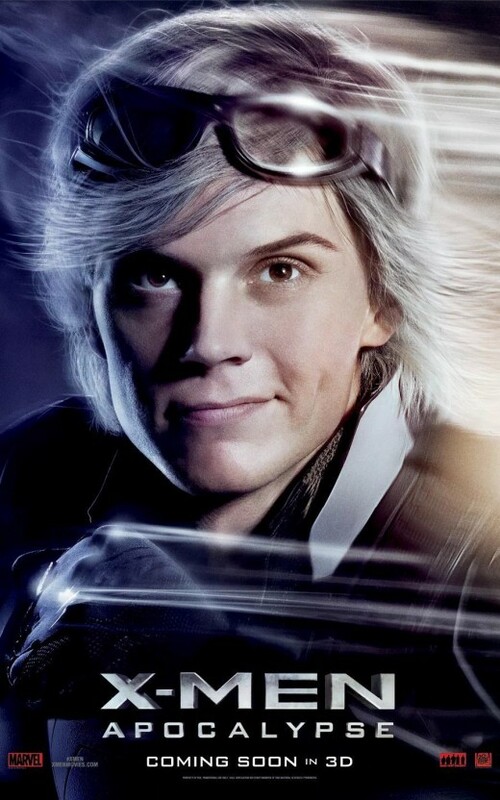 I can easily see Quicksilver like this – although not this lighthearted. What is consistent is that Pietro is happiest when he’s running. He lives for the speed and enjoys using his power. And if you are too slow to keep up or to not appreciate it, well, that’s just too bad for you. Quicksilver is a complex character. He is not convoluted. He is impatient and he’s a bit too caring about his family. This comes naturally when the mentality you have with your sister is that “it’s you and me against the world”. When the world hit back they knew they could count on each other. Since then, it’s been his “go to” position. 5 out of 5 stars from 1 rating of Who is Quicksilver?